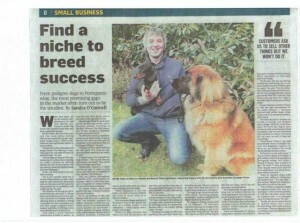 Yesterday our site Pedigreedogs.ie featured on page 8 of the business section of The Sunday Times. We are delighted with this exposure, and hope that it brings our web site to the attention of a lot more reputable breeders / owners so they are aware that there is a web site in Ireland, where the welfare of the dogs is paramount. Thanks to everyone that has supported us from the start. Well done. 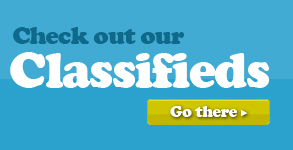 You deserve the publicity, you’ve put a lot of effort into the site. Thanks for that, No worries.